The folk humorist Will Rogers once said, “It takes a lifetime to build a good reputation, but you can lose it in a minute.” The online marketplace is not usually quite so unforgiving. 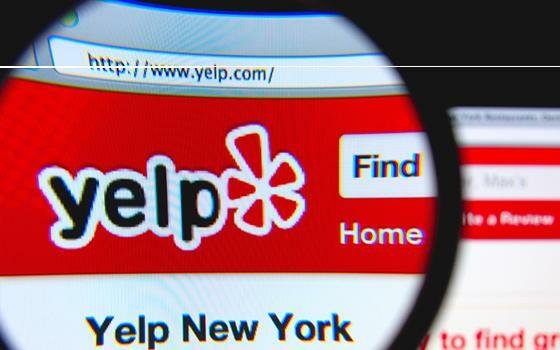 But Web reviews are already the most important factor for many small businesses, determining whether new customers will try them out and how much they might pay. A string of one- or two-star postings next to your listing can certainly translate into empty tables or idle afternoons. Online reputation management is a young field, more art than science for the moment. But expert advice plus common sense suggests small business owners should be thinking about three modes of action: handling bad reviews, generating good reviews, and just keeping track of what’s out there as directories and other feeder sites multiply. Nobody likes criticism, but a certain number of negative reviews are almost inevitable for any consumer-oriented business. A Forrester analysis of 4,000 products sold on Amazon found an average of 80 percent positive feedback, 20 percent negative. If your small business is beating that mean at 90 percent positive, you should feel encouraged and use the critical posts to your advantage. That means responding to each one promptly, calmly and professionally. Admitting your business fell short (if it did) and explaining how it has improved may well impress future customers more than non-specific glowing reviews. If criticism is unreasonable (they came two hours before you open), stand your ground politely. At all costs, resist the temptation to argue with the disgruntled customer in their own, sometimes snide, language. It is probably a good idea to delegate feedback management to a temperamentally suited person with good language skills within your organization, so that responses do not slip through the cracks. Sometimes an isolated bad review can be magnified by the mysterious optics of internet search, popping up next to your company’s name for a time whenever a potential customer Googles you. The answer to this, roughly speaking, is to create more content of your own through new blogs, YouTube videos, additions to your Wikipedia page, etc. The goal is to “drown out” the critic, who may be a skilled internet troll working for a competitor, or just out of spite. You may want to call in a professional for this effort, but never use it as an excuse to ignore justified criticism. The best way to neutralize bad reviews, of course, is with good ones. Generating positive feedback online is easier said than done. Human nature dictates that people are more likely to express discontent than approval. There is no single proven method to pump up the good vibrations; much depends on who your audience is and how you interact with them. Under-30 millennials may find a direct point-of-sale request for a review too pushy, but be sucked into an attractive and lively Facebook or Twitter page. Older customers may be hooked with a more traditional take-a-survey approach. 1) It is better to have a lot of reviews online, even if some of them are bad. Multiple posts create an image of traffic and things happening, and customers realize it is impossible to please everybody. 2) Resist the temptation to make up positive reviews yourself, or worse, pay a professional to write them for you. The big directory websites hunt for fakers, and will either name and shame you, drop your search position, or both. Before you get into any of these finer points of review management though, you need to be up-to-date on where all your reviews are, and make sure that other information about your company around the Web is up to date. An outdated, irrelevant blog post or two-for-one special floating around from 2011 can do as much damage as a scathing review. Customers may assume your business has shut down or that you just do not care anymore. Keeping track of your business’ Web presence is not easy, as you may be referenced and have user reviews across a dozen or more directory sites. But help is available: Reputation.com was an early entrant in the field, but is now being challenged by more automated competitors like Yext, which enable you to shape and monitor your presence across the internet from one screen. Put simply, managing online reviews has become a vital part of the marketing process for many, if not most, small businesses. Give it the attention it deserves, but calmly. How Committed Should You Be to Social Media? Article: Copyright © 2014, Studio One Networks. All rights reserved. "Working With Online Reviewers "